إن فندق Melaleuca On Mitchell - Darwin YHA بموقعه الممتاز في هذه المنطقة السياحية هو نقطة انطلاق جيدة لنزهاتك في هذه المدينة المذهلة. يجذب هذا العقار ذو 3 نجوم، والذي يبعد 1 km فقط عن وسط المدينة و 12 km عن المطار، الكثير من الزوار سنوياً. إن سهولة الوصول من الفندق إلى المعالم السياحية الشهيرة الكثيرة في المدينة هو استثنائي بحد ذاته. يعمل Melaleuca On Mitchell - Darwin YHA على ضمان إقامة مريحة لضيوفه من خلال خدماته الممتازة وحسن ضيافته. يمكن للنزلاء الاستمتاع بالميزات التالية: أمن على مدار 24 ساعة, خدمة التنظيف يوميًا, خدمة غسيل ذاتية, خدمة سيارات الأجرة, مجهز لذوي الإحتياجات الخاصة أثناء إقامتهم في هذا المكان الرائع. ادخل إلى واحدة من الغرف 98 وتخلص من عناء نهار طويل بمساعدة مجموعة كبيرة من الخدمات كمثل بياضات, خزنة, اتصال لاسلكي بالإنترنت, غرف لغير المدخنين, مكيف هواء الموجودة في بعض الغرف. صممت خدمات الاستجمام في الفندق والتي تتضمن ساونا, مسار جولف - ضمن 3 كم, حمام سباحة خارجي, سبا لمساعدتك على الاسترخاء والراحة. إن كنت تتطلع إلى إقامة مريحة وهادئة في المدينة، فستجد في Melaleuca On Mitchell - Darwin YHA بيتك الثاني. Awesome location, right next to many late night eateries, bars and crocosaurus cove. Staff were amazing and helpful. Room is basic but clean. Right opposite the supermarket and good communal kitchen, booked a private room with shared bathroom but got given one with en-suite which was good! Staff were helpful as we arrived at 5am and checked us in just an hour later. Darwin was quiet but that’s expected as it’s wet season. Could do with a bit of an update in general but good value for money. Had a very nice stay, rooms and public areas were actually very clean, and the location really can't get much better. Staff was extremely nice and helpful. Only cons would probably not having enough plugs in the room, making it sort of difficult if everybody had to charge their phone / iPad / laptop at once, otherwise it was a very nice stay. The pool and spa was also a very nice place to hang out and chill! 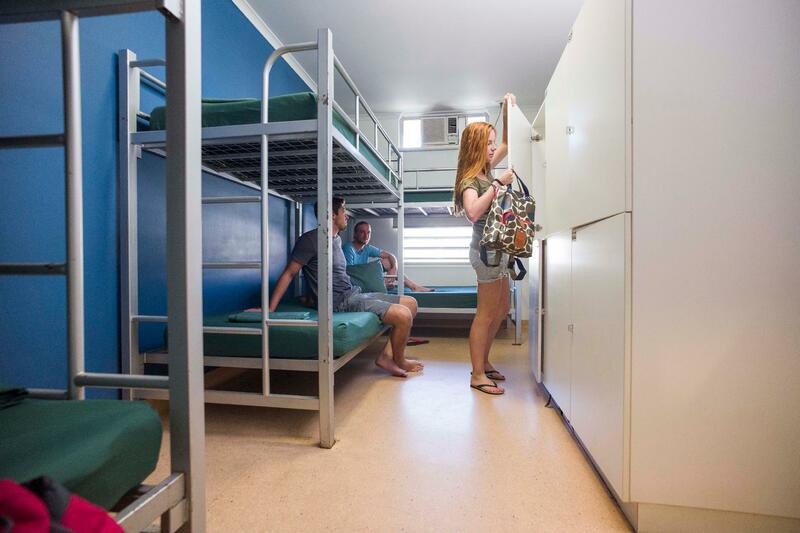 The hostel have kitchen, laundry, swimming pool and of course, beds that backpackers need. However, the conditions were really worn out, dirty because so many people were using them. Hence, cleanliness is a thumbs down. Location is perfect. Right opposite the hostel, there’s a shopping mall with supermarket, liquor store and pharmacy, and a very nice cafe that services great coffee and breakfast (Alley’s Cat). Cockroaches everywhere and extremely rude staff/. 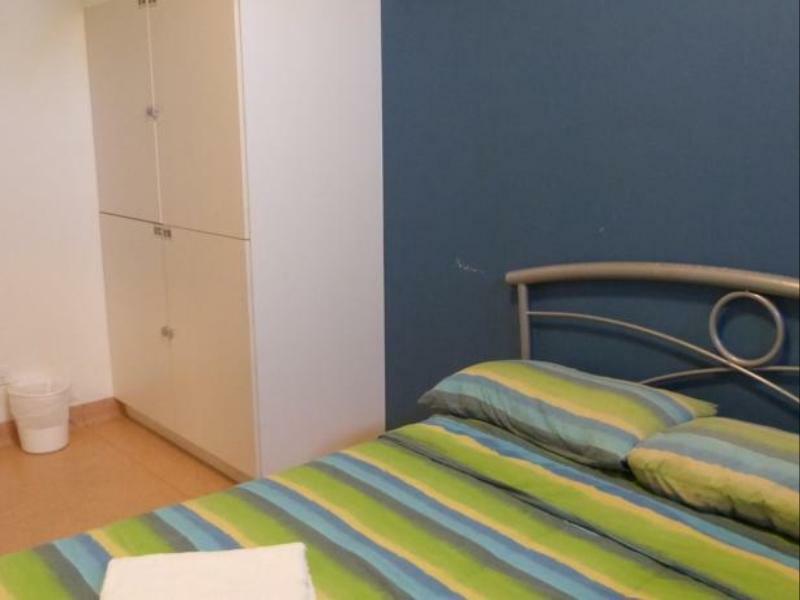 Overall my stay was good with the hostel in a good position in town. The issues I found not satisfactory was the heat in the kitchen and bathrooms, and the lift! I was there during the build-up to the rainy season so it was hot and humid, so to work in the kitchen, shower in the bathroom, and even going up to my floor in the lift not nice. Other than that, the staff were friendly and the rooms clean and tidy, though could have had more power points, and bedside lights! We stayed here for 3 nights and we couldn't have picked a better located, awesome value for money hostel. The staff were great, it has all the amenities required plus a coles and coffee shop across the road. 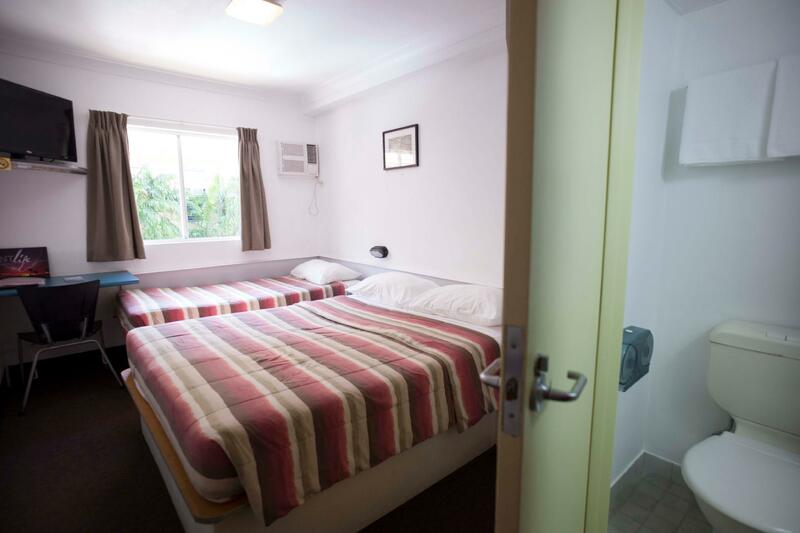 The rooms were cleaned daily with fresh towels/ linen. The bar upstairs was fun and not too noisy at night, we both slept peacefully all night. my room was clean and comfortable after my delayed over-night flight. to me, the noise level from the parties after sunset was bearable. 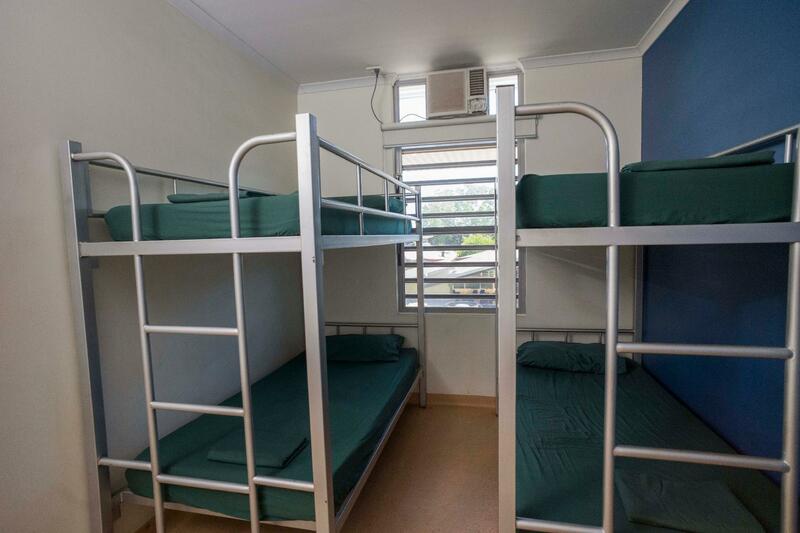 i will consider to book this hostel again when i visit darwin next time. As far as hostels go it was ok by darwin standards price wise,good big kitchen and well located in the central heart of Darwin.So close to all conveniences.The downsides were ,extremely noisy,but i knew this as its known as the party hostel.Other negative was the toilets would get filthy in the night as the drunker people got.Plus side was the staff were extremely helpful in the main. I found it to be a bit noisy but thats to be expected as its known as the 'party hostel" in Darwin.The place is starting to look a bit rundown and in need of a make over I feel.I had hooks and tap handles coming off in the amenites.It is definitely catering for the younger market so if you're looking for a nice quiet way to experience Darwin Do not go there.This place is not for you. 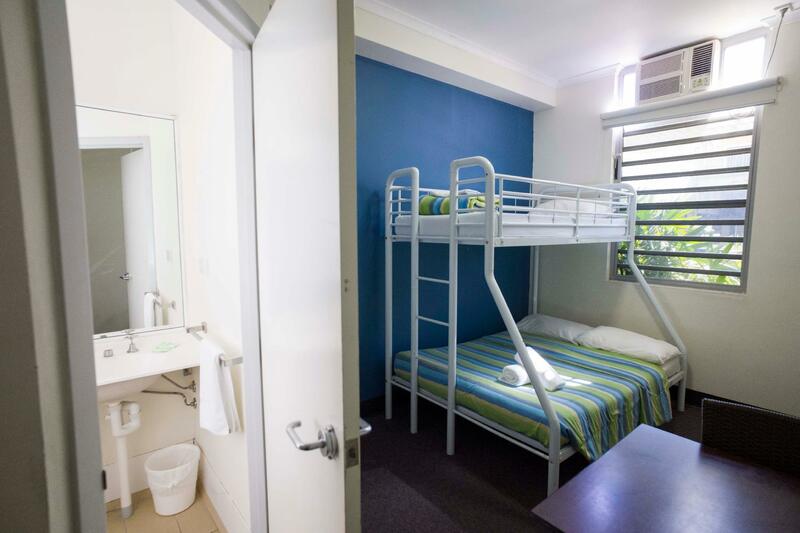 With nice location(in the center of Darwin), this hostel enjoys great popularity. Rooms clean and the huge balcony where the kitchen is located is lovely. Service, however, is so so, maybe because of the large number of guests, when compared with that of other hostels such as Dongo Moon. The storage room should be larger. I was hesident to stay at a hostel but hubby said don't worry u will be safe, and yep he was right I was safe comfortable. 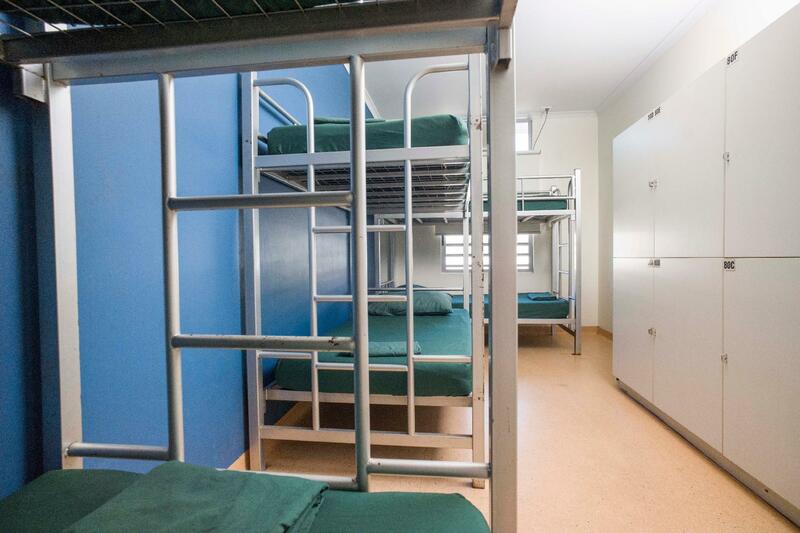 The accomodation was simple and functionable. I enjoyed it very much we will be back some day. Very helpful staff. Good location. big hostel on 3 floors, lift always worked, very clean, well organised kitchen area, staff (especially kara and andrew) very knowledgeable and helpful. free wifi in the mall close by. main criticism was that the bathroom needs air con! 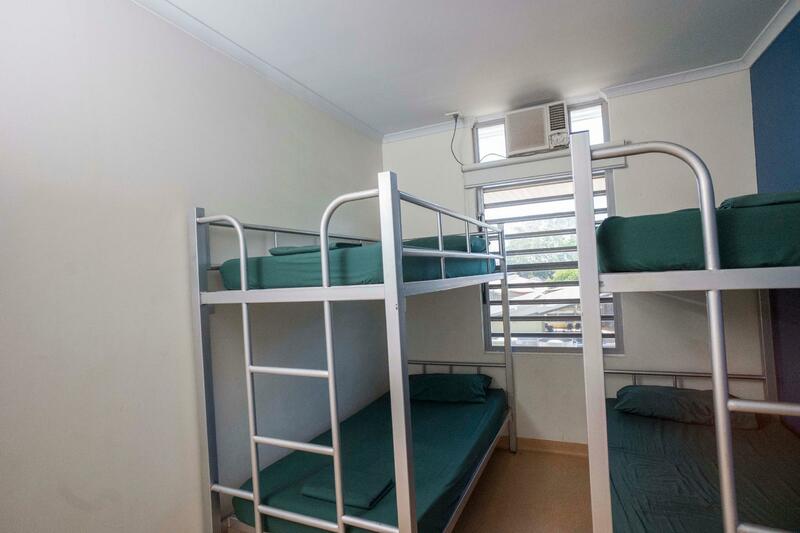 We stayed at the hostel when passing through Darwin. It was lovely and cheap and staff were very friendly and helpful. Allowed us leave our bags while we went out. Pool area is great and has a kitchen where everyone can store food and use facilities. I like the water feature very calming. the staff are friendly coach places for tourist attraction the place is close to shops shopping centre i just enjoy myself while they look after my luggage while i'm exploring the city. i planned to come back and take my hubby with me and see more especially the outback. The location is great- right in the middle of Darwin. I arrived at 8am and was able to check in then which was good. The staff were OK generally with answering questions and stuff. It felt like a lot of people staying there were effectively living there for weeks. The main negative was the lack of power sockets in the rooms. Only two next to the door, which when you've got 6 people wanting to charge phones and other things could be a problem. In the bedroom I had there was an extension cable snaking along most of the floor from one of the power sockets. The other negative was internet was only freely available in one area and not that fast, but limited internet seems to be common in many Australian hostels for some reason.